Nothing beats the sense of accomplishment that kids gain from making something with their own hands, and Origami Fun for Kids introduces the ancient art of paper folding through twenty projects that kids can either keep for themselves or proudly present to parents, grandparents, and teachers. Each project is rated by its level of difficulty, so even complete novices can start with the easiest models and progress to more challenging ones when they are ready. The accompanying DVD provides tutorial videos that will further clarify the instruction book's steps and diagrams. 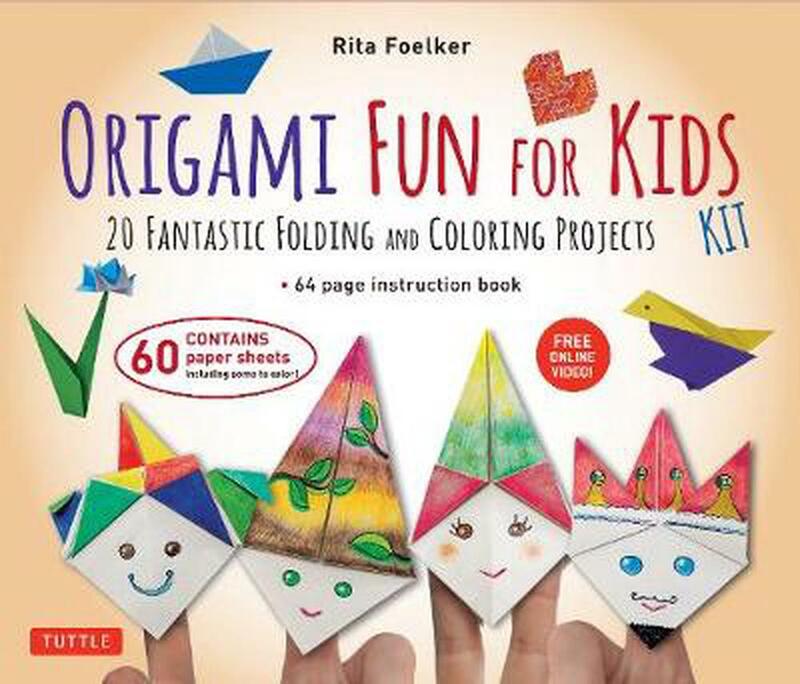 The only kit that comes with paper the folders can color themselves, Origami Fun for Kids includes sixty colorful printed sheets, along with a detailed instruction book and DVD, making it easy to fold a perfect model every time. Parents will love how this kit lets kids learn and play at their own pace-and the delightful range of classic origami creations and original models will tempt grownups to join in the fun! Rita Foelker is a mother writer and journalist who lives and works in her native Brazil as a book publisher, author and illustrator. She has studied and taught origami, the ancient art of paper folding, since 1998 and has contributed to origami books, magazines and websites worldwide.